In the 28 days between April 3 and April 30, Apple sold one million iPads, the Cupertino company announced this morning. "One million iPads in 28 days -- that's less than half of the 74 days it took to achieve this milestone with iPhone," said oft-quoted Apple CEO Steve Jobs today. "Demand continues to exceed supply and we're working hard to get this magical product into the hands of even more customers." Twenty-eight days, however, may not be an accurate figure. When Apple announced its first day iPad sales exceeded 300,000 units, the company took into account all of the pre-orders which began coming in on March 12. If this is the case with today's figures, Apple actually counted 49 days worth of sales. 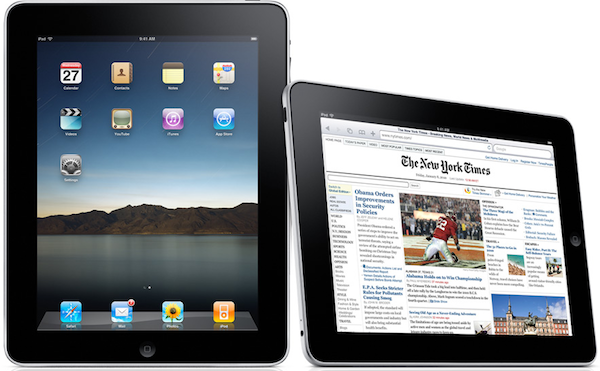 In early April, before the 3G-equipped iPads were released, the company averaged about 17,307 iPads per day. According to today's figures, Apple was selling an average of 35,714 units per day. If the company included the pre-order period into its calculations, the daily average would soften considerably to 20,408 units per day.